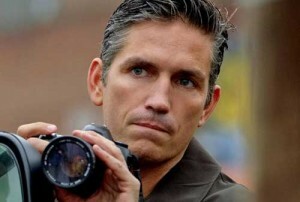 The winner of the 2012 People’s Choice award for Favorite New TV Drama, Person of Interest stars Jim Caviezel (The Count of Monte Cristo) as John Reese, an ex-hit man, who teams up with a scientist’s team to prevent crimes before they happen. Think of it as Minority Report as a television police procedural. In the crime series, the team investigate social security numbers that are spat out by a computer program that sifts through information looking for patterns of behavior or activity that could predict an attack or someone in danger. The show’s regular cast also includes Taraji P. Henson (Larry Crowne), Kevin Chapman (Unstoppable) and Michael Emerson, who we loved as the creepy Ben in TV’s Lost. In the first season, the team investigates a teenage girl who was supposedly killed years earlier, a judge whose wife recently died, a Mob leader and a detective Caviezel’s Reese respects and admires. Warner packed more value than usual in the Blu-ray version, offering it as a Blu-ray/DVD Combo pack containing 10 discs with all the season one episodes on both high-definition Blu-ray and stand-def DVD. The Blu-ray/DVD Combo also contains UltraViolet for instant streaming and download of the episodes. This show is my new pop cultural obsession. Want. So. Badly.